As demand for data and connectivity increases, network planners and installers are seeking more efficient and cost-effective deployment options for their FTTx rollouts. But challenging geography and crowded (or non-existent) underground infrastructure can create barriers to that effort. Given the issues involved in building a buried fiber network, it’s no wonder that planners often look to aerial cable as an alternative option. However, there are challenges with traditional aerial cable – it is either fragile or, in order to overcome its fragility, it is heavy. Wind and ice loads, as well as seasonal temperature variations, can cause aerial cable to expand and contract, which can cause damage to the fragile fibers within. 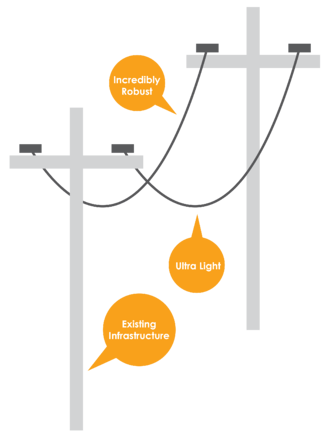 In addition, the cables must be resistant to static fatigue – the growth of cracks when under constant load – and to birds and other damage. Consequently, aerial cables are required to be strong and robust, often with cable specifications calling for minimum tensile loads in the thousands of pounds. The dilemma for fiber cable developers is how to ensure strength and toughness without making aerial cable too heavy. 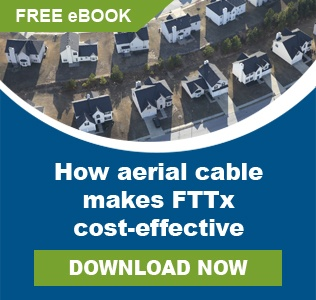 Any extra cable weight requires operators to install additional pole and line infrastructure, cancelling out the original cost-saving benefits of choosing aerial over buried. PPC aerial cables have been designed to overcome those challenges. They are incredibly strong yet ultra-lightweight. 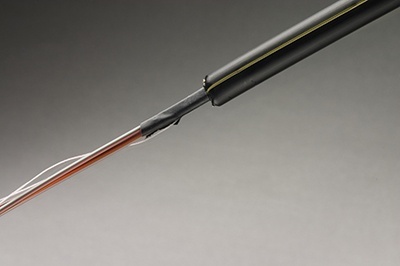 Weighing less than 25kg per kilometer, the 6mm aerial cable is self-supporting up to 68 meters, which means operators can use existing poles without the need for surveys, planning and remedial civil works. And, with a tensile load of 225 lbs, it is made to withstand ice loading and high winds. 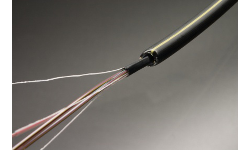 In addition to tough but lightweight aerial cables, PPC has further expanded its FTTx range to include aerial connectivity solutions. To learn more, visit our product pages via the links below.